Africa may soon be digitally connected but can we put ourselves on the world economic map? PLACE: 19th floor University Corner Building Corner of Jan Smuts and Jorissen Braamforntein. 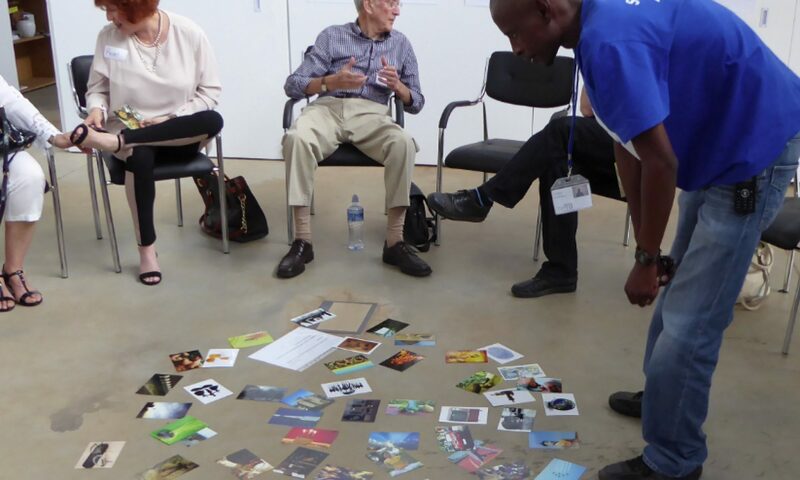 Upcoming dates: Fri 25 Aug and Fri 1 Dec.
As a continent we may soon be digitally connected but can we be cohesively engaged to put ourselves on the world economic map? Our pig for this session is the engagement of Africa. Are we mad? Maybe a little! Can we be the agents of continental change? Why not? – by Janet du Preez who will be co-hosting Pig Catching sessions in February and March. Janet is a versatile leadership and organisational effectiveness practitioner and a passionate, provocative and creative thinker. A strategic people developer and engagement protagonist, she is constantly alert for good people, good ideas and good systems which can be made even more effective. Janet uses her well-honed coaching, facilitation, process development and strategic consulting skills to engage talent, passion, insight and action in pursuit of great leadership and effective systems. She is completing an MSc through the da Vinci Institute developing a universal integrated sense-making framework for engagement in organisations. Previous PostPrevious Exercise: Short walk to freedom.